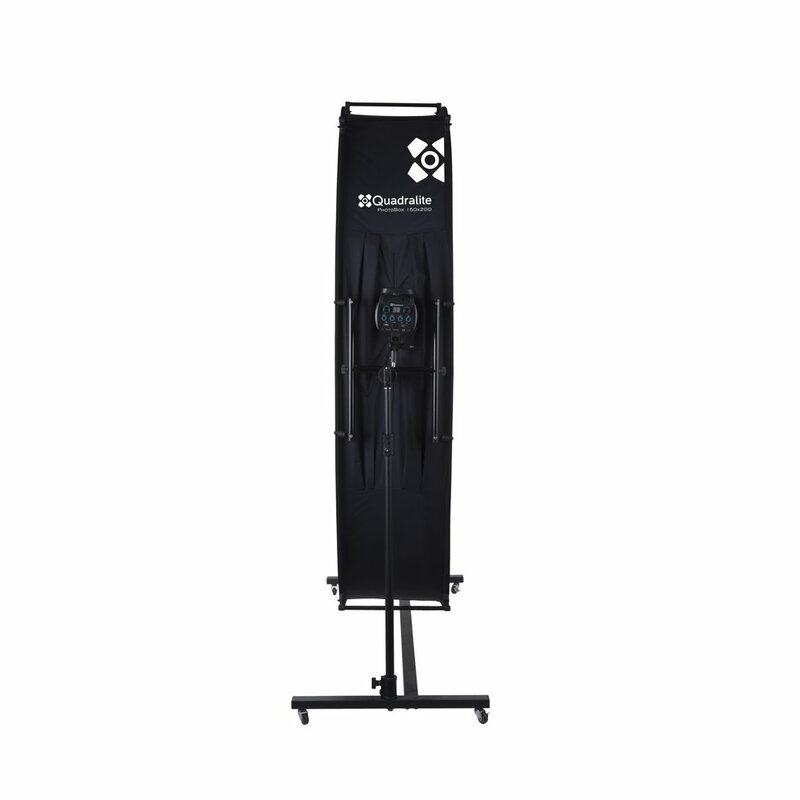 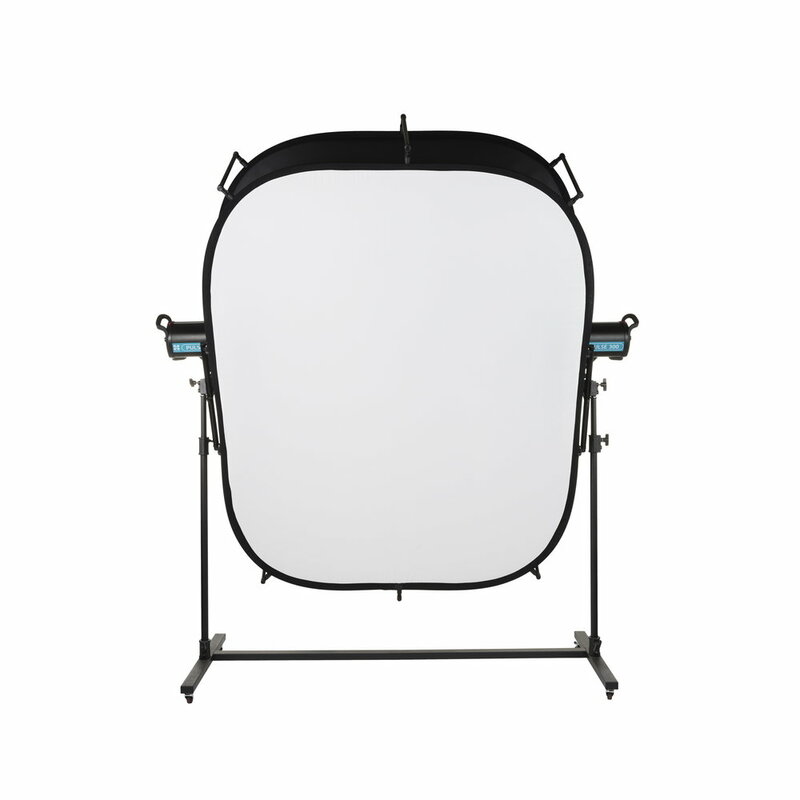 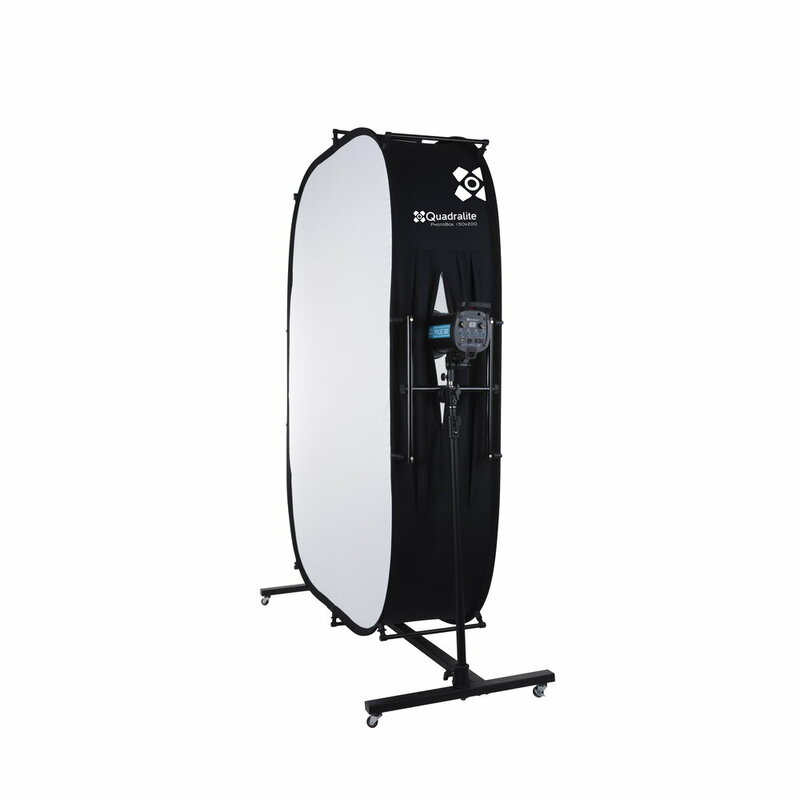 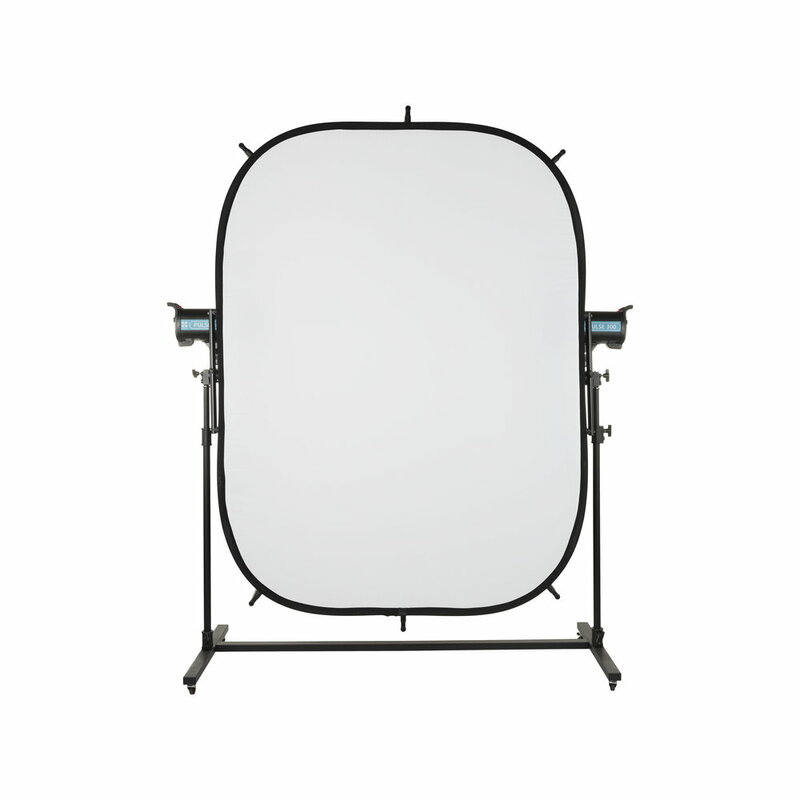 Softbox is mounted on the wheeled platform to facilitate the use. 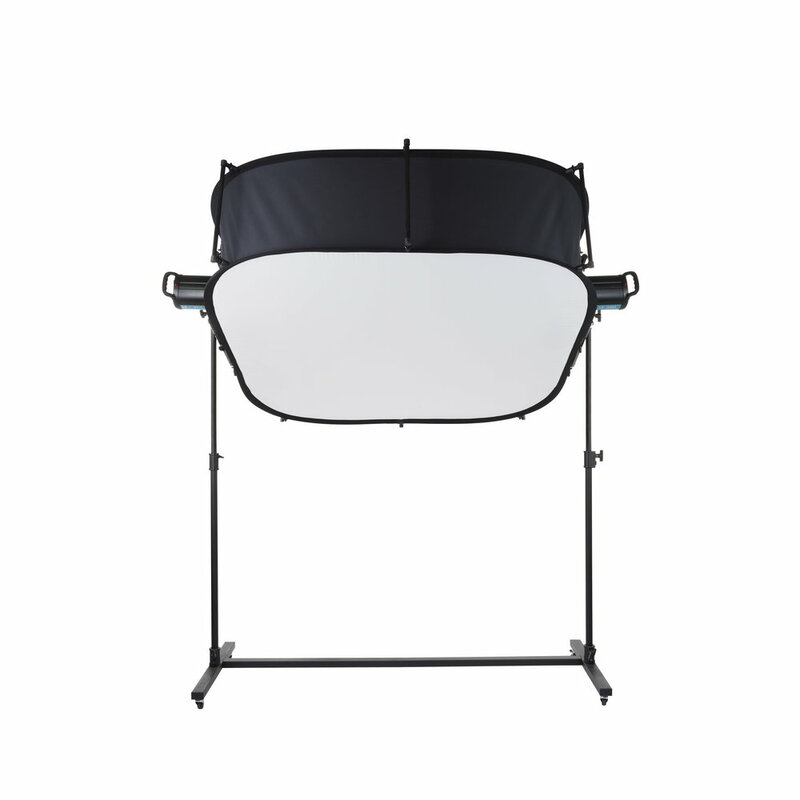 In addition, the framework allows to adjust height and tilt angle of the lighting surface, thereby facilitating portrait and product photo sessions shot on a light table. Softbox can house two flashes mounted at relevant assembly points.